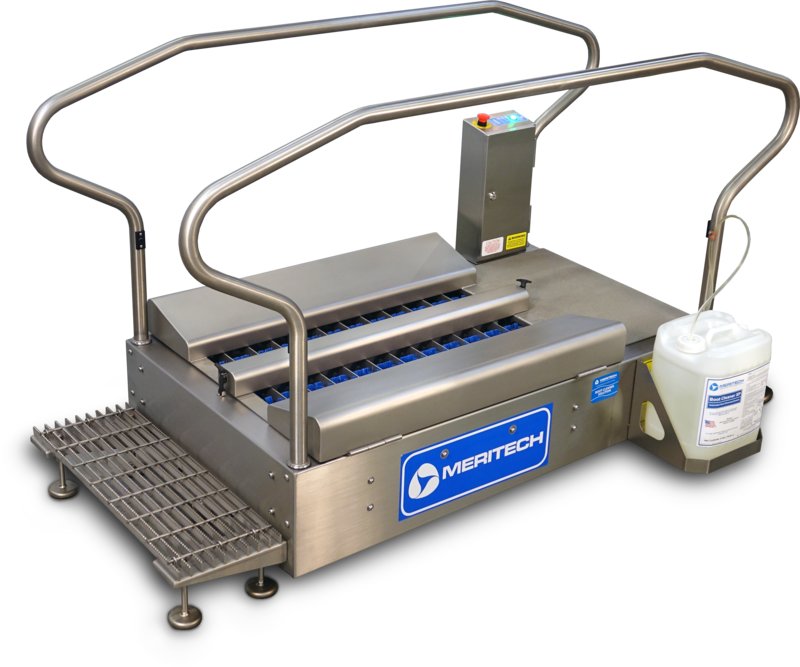 The XBW Soles Only footwear sanitizing system by Meritech is specifically designed for high through-put soles only scrubbing and sanitizing for a wide range of employee footwear types. This system continuously applies a strong sanitizing solution to soles using a series of high-pressure nozzle jets. This easy-to-install and compact system fits into tight spaces at food processing plants. Constructed using heavy-duty stainless steel and other top quality materials, the XBW Soles Only footwear sanitizing system is easy to clean and maintain.